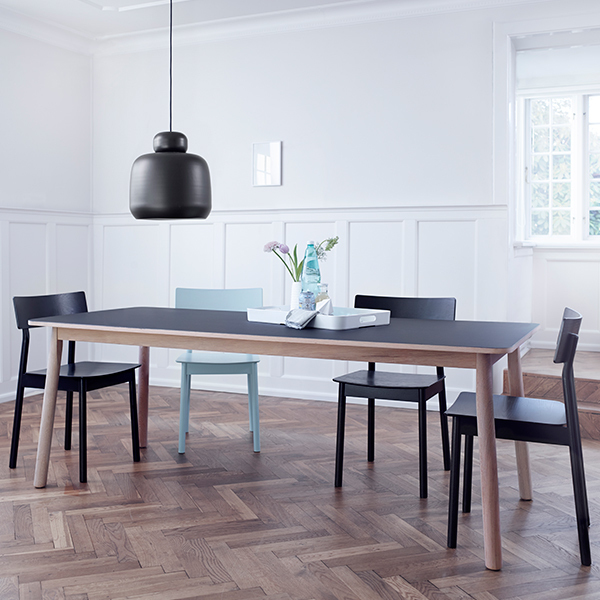 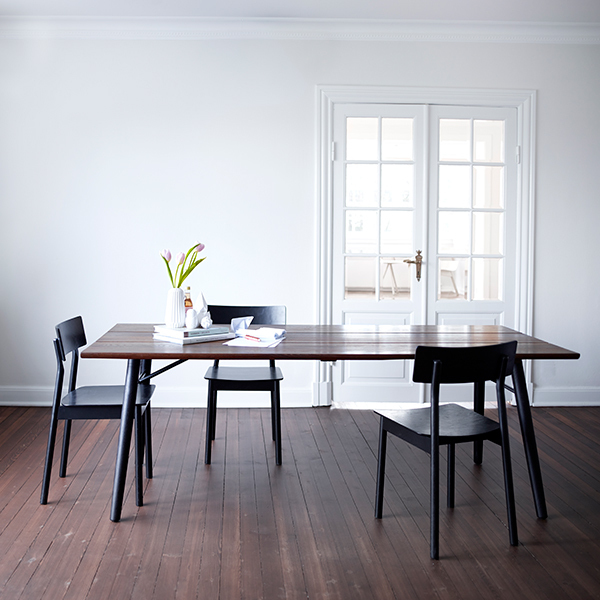 With its simple wooden structure and elegant joints, the Pause dining chair from Woud is an embodiment of modern Nordic design. 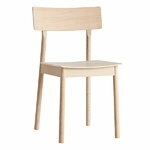 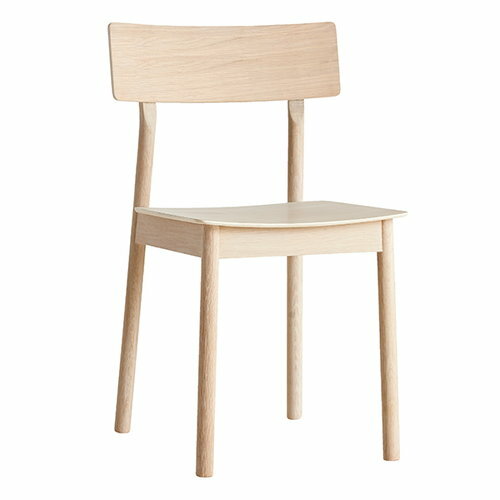 Finnish designer Kasper Nyman has created the Danish brand a beautiful oak chair that features clean lines and a broad, rectangular backrest. 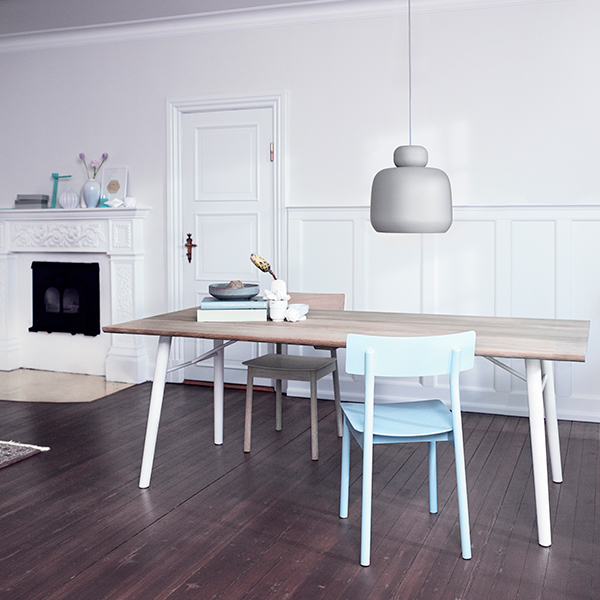 Pause is made of solid oak and oak veneer and available in white-pigmented lacquer and colourful painted finishes. 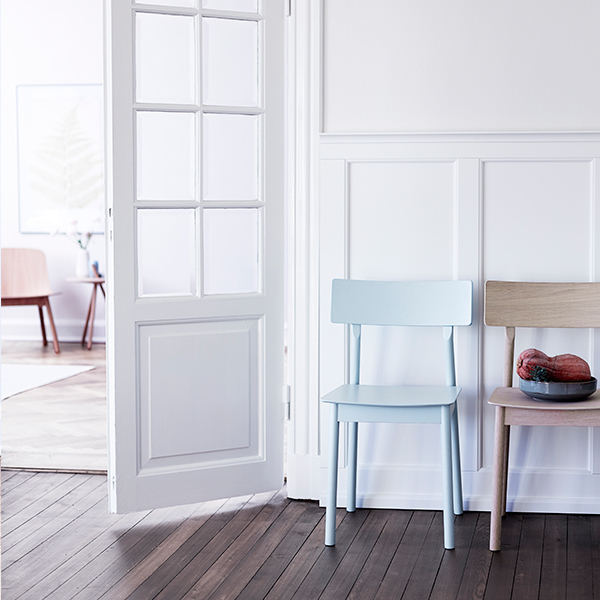 Pair the chair with a desk or dining table or place it in the hallway as a place to rest.